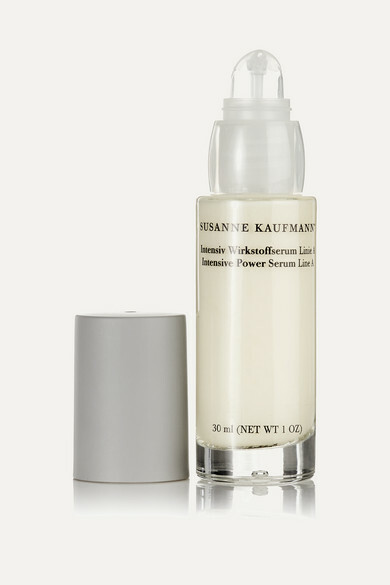 Susanne Kaufmann's 'Intensive Power Serum Line A' has been developed in Austria's Bregenz Forest Mountains to promote skin rejuvenation and combat signs of aging. This lightweight formula is packed with nourishing and regenerative ingredients – plant-based hyaluronic molecules deeply penetrate the dermis for intense hydration, Moth Bean extract and Lupine stimulate the production of collagen and Brown Algae acts as an antioxidant to protect and replenish cell turnover. 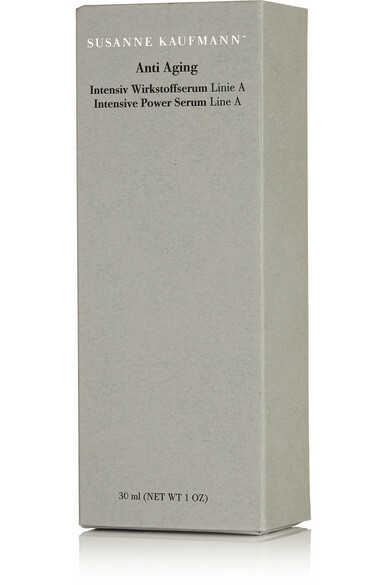 With continued use, it diminishes wrinkles for a firmer, more radiant complexion.